Ajit Jogi’s Janta Congress Chhattisgarh (JCC) on Tuesday announced its decision of not contesting the Lok Sabha election. The announcement has made the Chhattisgarh battle a bipolar contest between the Bharatiya Janata Party (BJP) and the Congress. The move could hurt the BJP as the JCC, according to political analysts, might have eaten into the Congress’ votes in at least four of the 11 parliamentary constituencies in the state. “The parliamentary board and the core committee today unanimously passed a resolution not to field candidate in any of the 11 constituencies,” JCC spokesperson Sanjeev Agrawal said. The party will support its ally Bahujan Samaj Party (BSP) in the polls, he added. In the November Assembly polls, Jogi party, according to political experts, had helped the BJP win at least 10 seats by dividing the Congress’ votes. 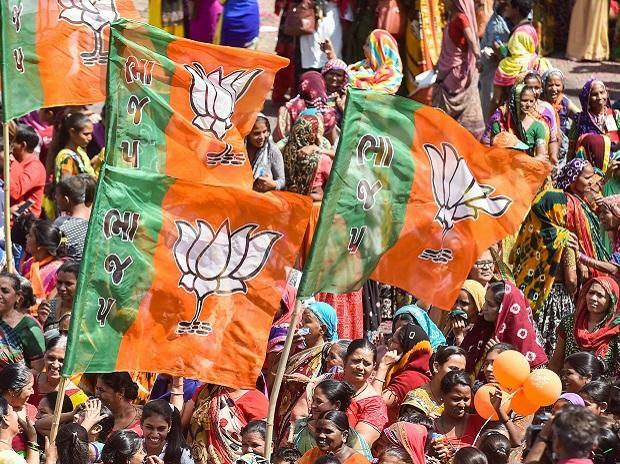 The saffron party finished with only 15 seats in the state polls, handing power to the Congress (which secured victories in 68 of the 90 Assembly constituencies). In the 2014 Lok Sabha battle, the BJP had won 10 seats, while the Congress emerged victories in only one. This year, the grand old party is looking to significantly improve its tally. The JCC came into existence in 2016 after Jogi, former Chhattisgarh chief minister, quit Congress a year earlier.